The Dai Nippon Butoku Kai was originally established in 1895 Kyoto Japan under the authority of the Japanese Government and the endorsement of His Majesty, Meiji Emperor to solidify, promote, and standardize martial disciplines and systems throughout Japan. It aimed for the preservation of traditional Budo and the nobility associated with Samurai culture. It was the first official and premier martial arts institution sanctioned by the government of Japan. The Dai Nippon Butoku Kai subsequently became the center for the proud heritage and elitism of Japanese Budo. It stressed the preservation and dissemination of martial virtues of Japanese Samurai warrior and incomparable historical excellence in martial disciplines. 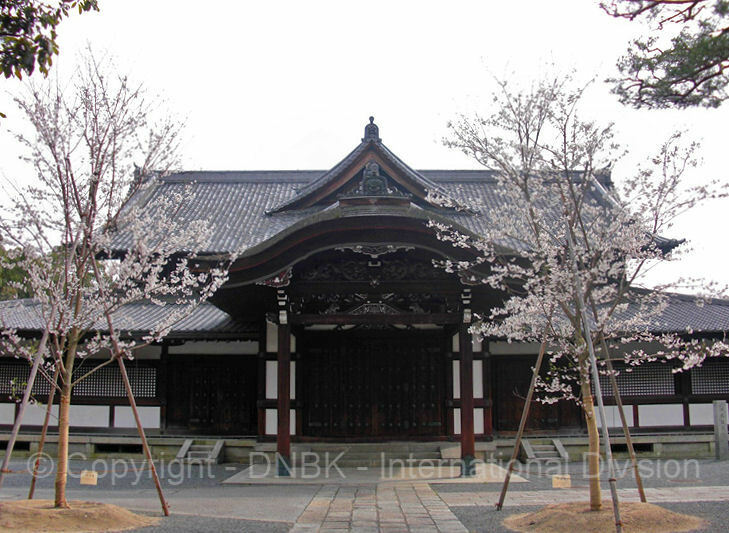 The historic Butokuden, Hall of Martial Virtues was built in Kyoto near Heian Shrine to carry out the legacy of ancient traditions which was originally started in eighth century capital of Kyoto. It had remained emblematically the powerful symbol of esteemed honor and highest integrity where the prominent Japanese martial practitioners aspired to be recognized by the Dai Nippon Butoku Kai. After DNBK was dissolved after WWII in 1946, the Dai Nippon Butoku Kai was reestablished again in 1953 with the new philosophical vision of preserving the long-standing illustrious classical martial virtues and traditions and to contribute to the world peace, international goodwill, mutual understanding and respect, and mutual prosperity through Budo education. It aims for the restoration of classical martial cultures, supporting allied research, instruction and service, teaching, promotion of international peace and harmony, and the advancement of greater humanity through the education and training of the traditional martial arts disciplines. Honbu DNBK authorizes and certifies the martial arts credentials in Kendo, Kenjutsu, and the Kobudo discipline that contains Aikido, Jiujutsu, Karatedo, Judo, Iaido, Jodo, Sojutsu, Kyudo and various traditional Kobudo. The authoritative board of directors of DNBK Headquarter in Kyoto is consisted of the highly regarded practitioners in their own domain of martial disciplines with meritorious martial arts record and legacies. Under the directive of the Honbu board, DNBK International Division was officially established in 1992 in the USA to organize, direct and coordinate all martial arts activities of Dai Nippon Butoku Kai in the international world outside Japan. The first DNBK dojo was established in Virginia USA in 1965 and since that time many DNBK activities began to spread throughout the US and various countries. In 1992, the First America Butoku Sai was held in Norfolk Virginia and in 1998, the First World Butoku Sai was held in Old Dominion University, Norfolk Virginia USA with three hundred Yudansha participating from ten nations. In 2002 April, the Second World Butoku Sai and the 40th National All Japan Butoku Sai was held in Kyoto Butokuden. This historic event was presided by Deputy Sosai and the Board of Directors of Honbu DNBK, with the support of Kyoto Governor, Kyoto Mayor and Kyoto Newspaper. Total of 650 elite Black Belts from fifteen nations participated in the unprecedented celebration of Budo spirit for their honor. In 2004, the Second America Butoku Sai was slated in Old Dominion University with five hundred DNBK members from 20 nations. It was most notable the same year we held the first Youth International Butoku Sai in conjunction with America Butoku Sai. In 2005, Portugal Rensei Taikai and Spain Budo Seminar took place. In 2006, France Budo Seminar in Chartres, Belgium Butoku Sai in Brussels, and Canada Rensei Takai in Toronto were held with tremendous support of DNBK International Division members. In 2007, DNBK International Division held the First World Youth Butoku Sai in Norfolk Virginia. In 2008, the Third World Butoku Sai was held in Kyoto Butokuden and in the summer, International Youth Butoku Sai was held. In 2009, DNBK held the annual Japan Butoku Sai in April and DNBK ID held the first Elite Budo Seminar for ten days intensive practice/lecture on Jujutsu, Aikido, Aikijujutsu disciplines in Butokuden. In 2009, Honbu and DNBK ID held the First International Rensei Taikai in Athens Greece in conjunction with 110th anniversary of Greco-Japan relation. In 2010 July, youth members from US, UK, France and Canada partook in the Japan Youth Butoku Sai and 21 elite members from Russia, US, Canada joined in the challenging Summer Elite Budo Seminar on Karatedo and Kobujutsu. In November of 2010, Fourth America Butoku Sai and Commemorative Gasshuku in celebration of 45th anniversary Shibu Dojo was staged in Virginia Beach Virginia USA Ocean front. In May of 2011, DNBK ID of the entire world campaigned rigorously for humanitarian effort to help the victims of Japan Tsunami and Earthquake disaster. DNBK ID along with the support of many civic organizations made substantial contributions to help the city of Ishinomaki, major disaster zone of Japan. In June of 2011, Kyoto Elite Budo Seminar for Iaido, Sojutsu, and Jujutsu was slated with members from Russia, US and Ireland. In 2011 July Canada Butoku Sai and Second World Youth Butoku Sai took place in Queens University, Kingston city, Ontario Canada. Over three hundred participants enjoyed the major international Budo festival in the historic city of Kingston Canada. Honbu Japan sent over sixty delegations to Canada for this major international event. In 2012 April, the Fourth World Butoku Sai in conjunction with the fiftieth Japan Butoku Sai was held in Kyoto Butokuden Japan. 300 international members from 17 nations as well as 350 Honbu members across Japan partook in the majestic events slated for the celebration of major milestone year. They conducted the tree planting ceremony of cherry blossoms and dedication of impressive stone memorials in the courtyard of Butokuden. Budo demonstrations were one of the finest ever representations of the classical traditions of DNBK. In 2013 and 2014 June, elite Budo seminar was held with great outcome of accomplishments and the participants performed outstandingly in the international Rensei Taikai scheduled in Kyoto Butokuden. In 2013, United Kingdon Butoku Sai was held in London and the participants from ten nations partook in the prestigious event where they demonstrated their outstanding skills and spirit. The special ceremony of 111 cherry trees at Bedgebury National Park was held in commemoration of UK-Japan 111th anniversary of Anglo-Japan alliance. In 2015 March, on the occasion of fiftieth anniversary of US DNBK Bushin Kan, commemorative America Butoku Sai and Gasshuku was held in Virginia Beach where nearly five hundred participants from ten nations joined in the landmark celebration event. In this signature year, The Peace Monument of ancient boulders and stone park was dedicated for world peace, safety and prosperity for all nations and people on this globe. The Peace Garden was dedicated in the MacArthur memorial courtyard in the city of Norfolk in honor of Mrs. Jean MacArthur, wife of General MacArthur for her extensive contributions to the world peace. In 2016 April, Fifth WBS was staged in Kyoto Butokuden with great venue of excitements in celebration of Butoku spirit worldwide. Over 700 participants from 25 nations attended the week long venue of significant Budo and cultural activities. Her Imperial Highness, Princess Akiko attended the opening ceremony for the first time in the history of DNBK and delivered the keynote royal message on the heart and spirit of Japanese traditions. In 2017 August 5, in Clermont-Ferrand France, the France Butoku Sai and International Youth Butoku Sai was held in commemoration of 110th anniversary of Franco-Japan treaty and 159th anniversary of Franco-Japan Commerce, Trade and Amity Treaty. The special Japanese Sakura Park for Peace and Stone Monument was dedicated in the city park. Honbu delegations led by Tesshin Hamada and Yutaka Takeda attended while the Mayor of Clermont-Ferrand presided over the ceremonial occasion. Hanshi, Andre Cognard and France Shibu members as well as many attending DNBK ID leaders made significant contributions to this celebratory event held in France. Over 500 DNBK ID members from 15 nations partook in the auspicious France Butoku Sai. At present time in DNBK Honbu organization, Honorable Resident-Priest of Shorenin Temple, Jiko Higashifushimi who is cousin to Emperor Akihito of Japan, is serving as Sosai of DNBK and Hanshi, Masakatsu Tsujino, 9th Dan Kendo is serving as the advising counselor of the board and Hanshi, Takemichi Kuwahara, 10th Dan Jujutsu is serving as the Deputy Sosai of DNBK and Hanshi Tesshin Hamada is serving as the president of DNBK board of directors of Honbu in Kyoto, leading the administrative operation of the Honbu organization, while Hanshi Takeda, Hanshi Yamamoto, Kyoshi Watanabe, Kyoshi Uemura, are serving as board directors of Honbu and Hanshi Fujii and Kyoshi Nakada are serving as controller of DNBK. Tesshin Hamada Hanshi, founder of DNBK ID serves as the chair of DNBK ID while Kimberly Baylor, Kyoshi serves as an executive secretariat of that office. In the International Division as of 2018, we have official representatives and coordinators in Canada, United Kingdom, Italy, Belgium, Portugal, Israel, Hungary, Russia, Germany, Spain, Malta, France and California USA, Hawaii USA, Mid-Western USA, Boston USA, Florida USA, Australia, Romania, Switzerland, Armenia, Chile, Switzerland, Greece, Gibraltar, Austria, and other prospective international locations while several thousand members registered in 45 nations. In DNBK ID, there are highly well-respected international leaders as national representatives, coordinators, Kenshoin and dojo heads in each prospective geographical zones.